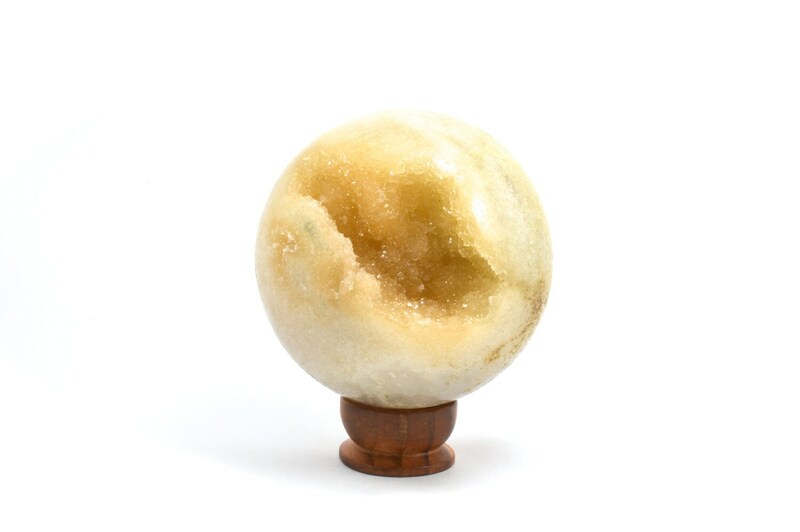 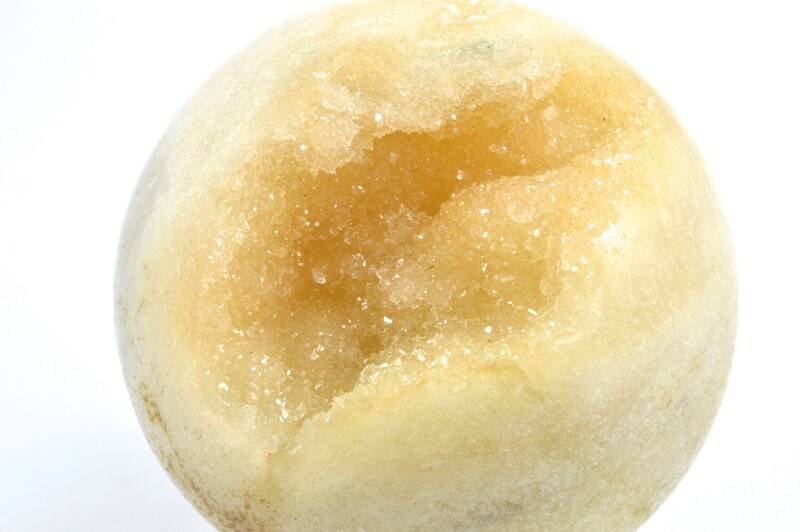 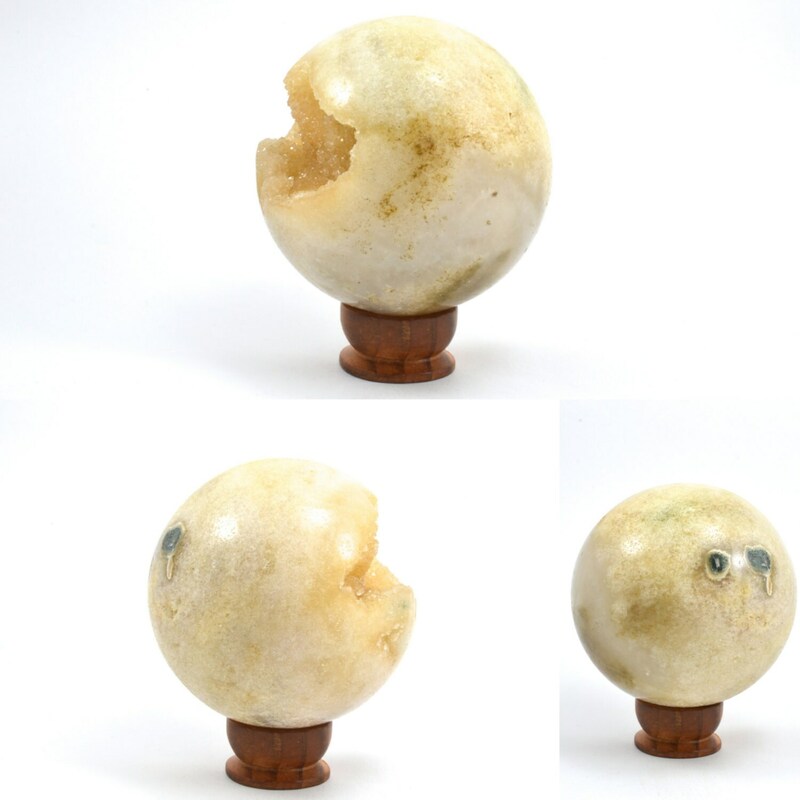 This crystal sphere is a beautiful piece to add to anyone's collection! 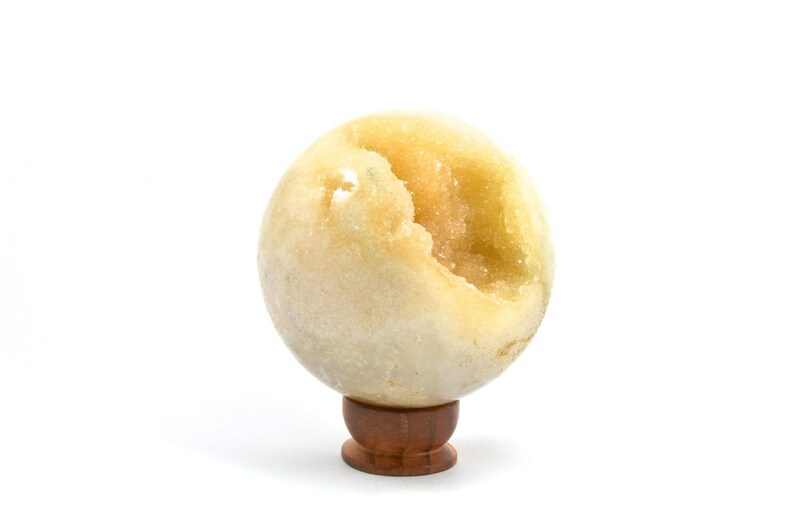 Made from a piece of agate, it features a brilliant druzy centre that is natural agate. 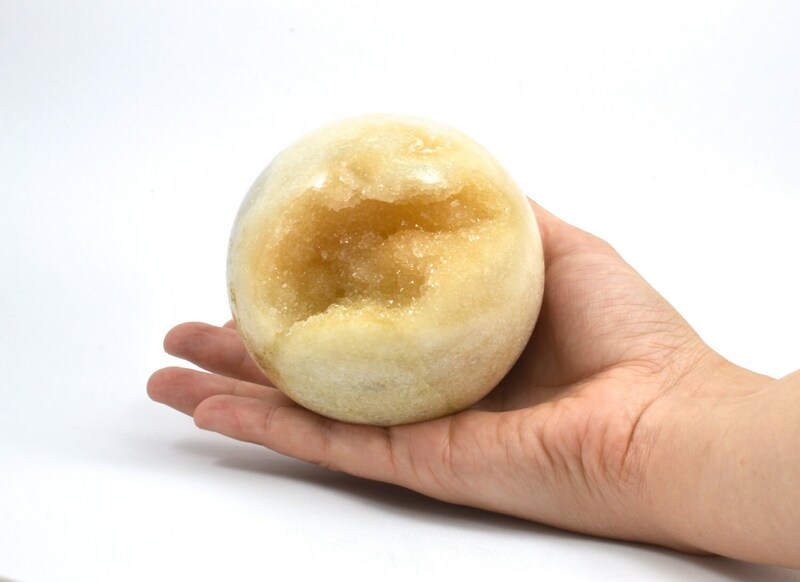 It is 9cm in diameter (3.56inches) and comes with a stand.